The purpose of HUMC youth ministry is very simple; Make Disciples. When our youth graduate we want them to leave equipped with the necessary tools to be world-changing disciples of Jesus Christ. 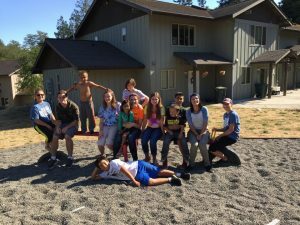 We have weekly programs, yearly retreats, summer mission trips, special events, and many other opportunities for youth to come together. Thanks for taking a moment to check out all that we offer here at Harmony UMC for Middle School and High School students. We are excited about the future of Youth Ministry at HUMC and we look forward to your active participation in our youth programs. 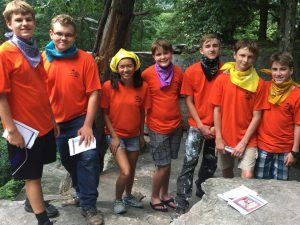 If you would like to receive additional information about our youth programs, please be sure to contact Amy Beckwith at abeckwith@harmonyva.org. The journey of faith is not so much about the destination. The one that we take together is more about loving more deeply, living more abundantly, and being the people that God created us to be. Discipleship is an adventurous journey in trusting and knowing that we follow the One who guides our steps and invites us into a community of love and joy. No matter where we are; stopped by the wayside, traveling in circles, moving forward or moving backward; it doesn’t matter. There is an adventure that awaits. 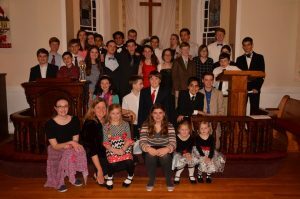 Beginning this year Harmony United Methodist Youth Group will meet every other Sunday. 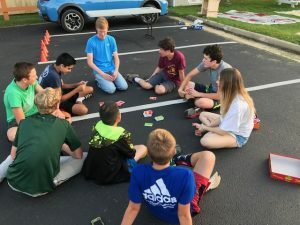 Youth Group offers a unique time where youth participate in mission projects, play games, and have discussion about the adventure God takes us on in our everyday life as faithful Christians. Each time we meet, a meal is provided. All Youth 6th-12th grade are welcome to join us on the Adventure from 5pm-7pm. This year we are starting a new program in our youth ministries for 5th-8th graders every other Wednesday night. Our focus for this group will be Converge: Where Life and Faith Meet. During our time together we will explore relevant topics for the 21st century to see how faith comes into play in our everyday lives. All Youth 5th-8th grade are welcome to join us on the Adventure from 6:15pm-7pm. Most weeks our church will serve dinner prior to our program. The road through 9th through 12th grade may be bumpy—but it doesn’t have to be lonely. 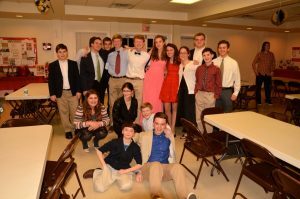 Transit students are surrounded by a community helping them on the journey to discover a faith of their own. These groups are designed to create a safe environment for students to share what’s going on in their lives and ask questions about faith and about navigating the high school world. 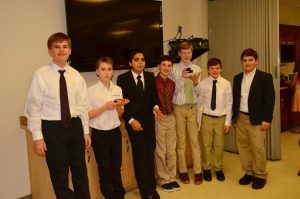 On Tuesday mornings each week a Boys Group will meet at Chick-Fila and Girls Group will meet at Sweet Rose Bakeshop, both in Purcellville. All Youth 9th-12th grader are welcome to join the Boys 7:50am-8:40am and the girls 8am-8:45am each Tuesday January 8, 2019 through May 14th, 2019. and continuing through May 14th, 2019. When people come together to serve others in the name of God so much can be accomplished. Synergy Youth Missions are opportunities youth will have throughout the year to serve in the community and the world. 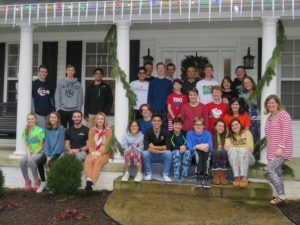 The mission opportunities will include Operation Christmas Child, Teens Opposing Poverty, Christmas Caroling, 30 Hour Famine, and other activities where youth can reach out to the Harmony community and DC areas. We also will send youth teams on at least one mission trip every summer. 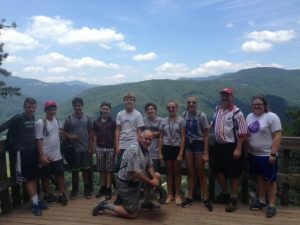 There is always an opportunity for middle and high school students to go on a mission trip. 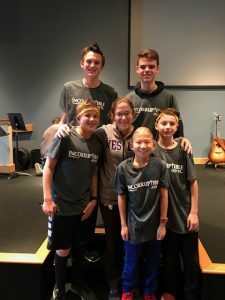 Games and Recreation Ministry: This ministry track is designed to help students use their athletic ability and willing hearts to share the gospel through sportsmanship and Christ-like attitudes. These tracks are located in children’s centers or homes, apartment complexes, community centers and boys and girls clubs. Homeless Ministry: This track is designed to minister specifically to the homeless population. Students will spend each day visiting with the homeless in shelters, building relationships, serving meals, leading games with children, etc. 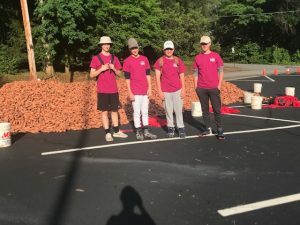 Painting, Construction, and Yard Work Ministry: Students in this track will spend their time doing yard work, repairing, cleaning, painting, and light construction work. 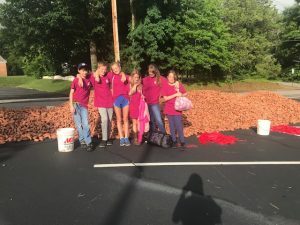 These tracks work with various organizations such as Habitat for Humanity and local housing authorities to meet the physical needs of churches, schools, families and individuals. 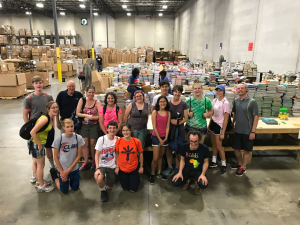 Social Ministry: This ministry track provides students a variety of ministry opportunities for meeting the physical, emotional, mental, and spiritual needs of people. Students in this track may minister in: mentally/physically handicapped centers, nursing homes, homeless shelters, soup kitchens, food banks, clothing closets, furniture distribution centers, refugee ministries, prison ministries, Baptist Centers, Salvation Army Sites, and other community organizations with similar purposes. The confirmation journey that we embark on here at Harmony will probably be filled with more questions than answers, and more seeking than finding; and that’s okay! That is what this time in one’s faith life is all about; making sense of what you believe, asking questions, and wondering about God’s place in your life. It’s about taking an active role in looking at your own faith and then claiming it as uniquely your own. Our confirmation class will provide a foundation of support, help and resources as we walk through your faith journey. Our meetings, activities and thoughtful discussions will help you discover your own strengths, questions and path as you find and build on your beliefs, discovering how your faith fits into and supports your day-to-day life. All 7th through 12th graders are invited to join us on this journey. We will meet each Sunday, 9:30am-10:45am and we will have a retreat in January. November 18th: What’s so important about Thanksgiving? © Copyright 2019 Harmony United Methodist Church. All Rights Reserved.